Doris Lessing has died at her London home this morning at the age of 94. The Nobel Prize-winning “passed away peacefully at her London home in the early hours of this morning”, a statement from her publisher, Harper Collins, announced. Doris Lessing best-known works include The Golden Notebook, Memoirs of a Survivor and The Summer Before the Dark. She became the oldest winner of the Nobel Prize for Literature when in 2007 she won the award for her life’s work aged 88. Jonathan Clowes, her long-time friend and agent, said she was “a wonderful writer with a fascinating and original mind”. “Doris Lessing was a one of the great writers of our age,” said Charlie Redmayne, CEO of Harper Collins UK. Born in what is now Iran, she moved to Southern Rhodesia – now Zimbabwe – as a child before settling in England in 1949. Doris Lessing’s debut novel The Grass is Singing was published in 1950 and she made her breakthrough with The Golden Notebook in 1962. 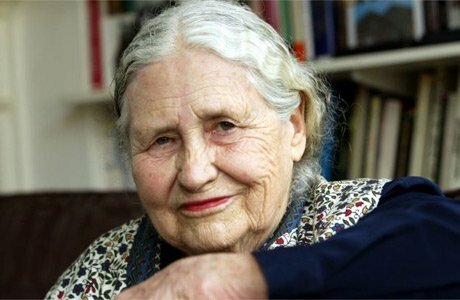 On winning the Nobel Prize, the Swedish Academy described Doris Lessing as an “epicist of the female experience, who with skepticism, fire and visionary power has subjected a divided civilization to scrutiny”. After learning she had won the award, Doris Lessing said she was “very glad” but recalled that in the 1960s she had been told the Nobel Prize committee did not like her and she would never win one. “So now they’ve decided they’re going to give it to me. So why? I mean, why do they like me any better now than they did then?” Doris Lessing said. The Swedish Academy said the Golden Notebook was seen as “a pioneering work” that “belongs to the handful of books that informed the 20th Century view of the male-female relationship”. As an author, though, Doris Lessing distanced herself from the feminist movement. The content of her other novels ranged from semi-autobiographical African experiences to social and political struggle, psychological thrillers and science fiction. Doris Lessing had two children with her first husband, Frank Wisdom, whom she married in 1939. But she left the family home and the couple divorced in 1943. She then married and had a son with the German communist Gottfried Lessing in 1945. They divorced in 1949 and she moved to England with her son Peter. Tributes have been paid to Doris Lessing by her fellow authors, with Professor Lisa Jardine remembering her as “one of our very greatest writers”.